Times are changing and more and more of us are opting to work from home, rather than going into the office every day. Although the commute to your home-based office is much more pleasurable than a packed train, it can be distracting working within a busy family home. Rather than doing costly remodelling or moving house altogether to get that extra (more quiet) space, many of us opt for a stylish and functional garden office. As these structures are designed as work spaces, they often hold valuable computer equipment. This means that they must be regularly maintained to ensure that they remain in tiptop condition. It’s a good idea to regularly inspect ‘vulnerable’ areas, such as doors, windows and roofs, for any signs of water. As a rule of thumb, the sooner any problems are found, the easier they are to fix. Guttering and drainpipes are essential for wooden buildings, as they channel rain water away from the wooden walls. Make time for frequent checks of your gutters to ensure that they are not blocked. This way, you can locate and fix any problems before they cause larger issues. 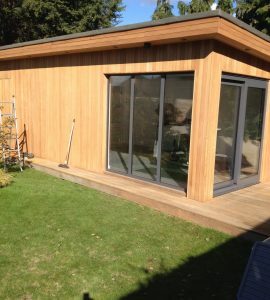 It’s essential to protect wood from moisture and weathering, if you want your garden office to last as long as possible. If there is an old finish on your office building, it’s important that you remove this before applying a new one. Our solvent-free oil remover, Aquanett, is designed to remove any previously applied oils and restore the natural colour of the wood. As it has a gel-like consistency that won’t run, it’s ideal for the vertical surfaces of your garden office. Our solvent-free paint remover, Prepdeck, is specially designed for the removing of old solid and semi transparent stains, grade stamps and other surface contaminants from wood. After stripping the old finish off your garden office, it’s important to neutralize with Net-Trol. Our non-aggressive wood cleaner, neutralizer and color restorer is harmless to plants and shrubs, so you don’t need to worry about damaging the garden around your office. Even if you haven’t needed to strip any old coatings off your structure, it’s still important to use Net-Trol in order to remove surface and ground-in dirt, before applying your finish. This would otherwise hinder the adherence and penetration of the new finish meaning you’d be back to square one before long! Plus, using Net-Trol means that no laborious and backbreaking sanding is required! For a natural look, our penetrating wood oil finish, Textrol, is the ideal choice for protecting your wood against moisture and UV damage. If you’d like a semi-transparent finish, you could opt for our water-based penetrating finish, Aquadecks. Alternatively, Tropitech is our semi-transparent 100% acrylic finish with additional longevity in difficult climates. 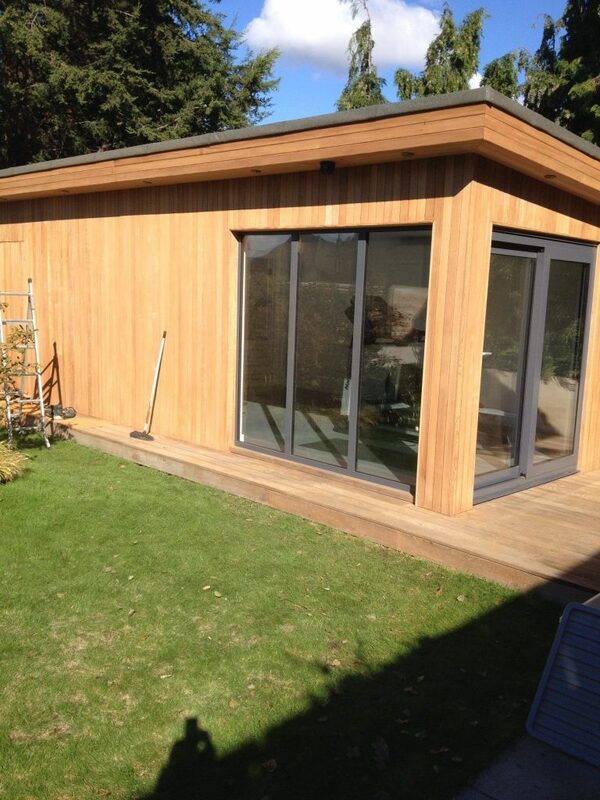 If you fancy a pop of color, why not protect your garden office with Solid Color Stain? Available in a range of different shades, it’s guaranteed on bare wood for 15 years on vertical surfaces, so you don’t need to worry about re-painting in another couple of years. 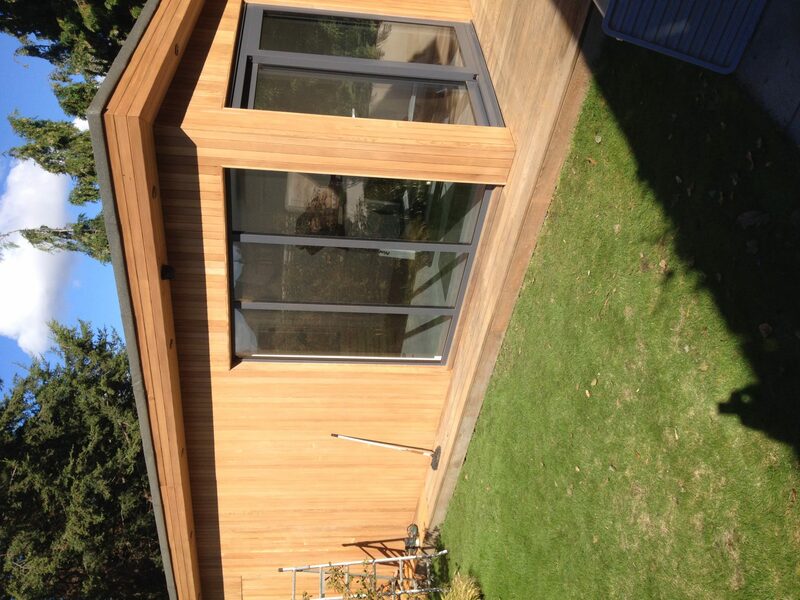 Do you have a garden office? We’d love to see some pics.